Mississauga, Ont.—September 12, 2018—Dealertrack Digital Retailing, the industry’s most accurate and comprehensive automotive digital retailing solution, today announced that the FFUN Group will deploy Dealertrack Digital Retailing across 10 of their franchise dealerships, including Acura, Dodge, Chrysler, Hyundai, Ford, and Kia. Effective immediately, the Dealertrack Digital Retailing online shopping experience is available to FFUN Group customers online and in-store. The Saskatoon, Saskatchewan-based FFUN Group has established itself as one of Canada’s leading privately-owned automotive dealer groups. As the only digital retailing solution in Canada that accurately solves for both new and used cars and offers omnichannel capabilities, the FFUN Group’s decision to select and use Dealertrack Digital Retailing was based on the group’s customer-centric approach to business. With Dealertrack Digital Retailing, dealers can now track true ROI by following a customer all the way from an online ad or organic search through to the final sale in the Dealertrack portal, via cross-domain tracking with Google Analytics. Additionally, Dealertrack Digital Retailing keeps consumers on the vehicle display page (VDP) on the dealer’s website, increasing the users’ time on both site and engagement. For more information, please contact Sarah Miller, Manager, Public Relations and Corporate Communications, Cox Automotive Canada at [email protected]. Dealertrack Canada is the leading provider of web-based software solutions and services for all major segments of the automotive, marine, recreational vehicle, motorcycle and powersport retail industries. Dealertrack Canada serves dealers, lenders, OEMs, third-party retailers, agents and aftermarket providers with its comprehensive set of solutions including Sales/F&I products; market data for dealers, lenders and OEMs; and digital document services. Dealertrack Canada is a subsidiary of Dealertrack, which is owned and operated by Cox Automotive Canada. 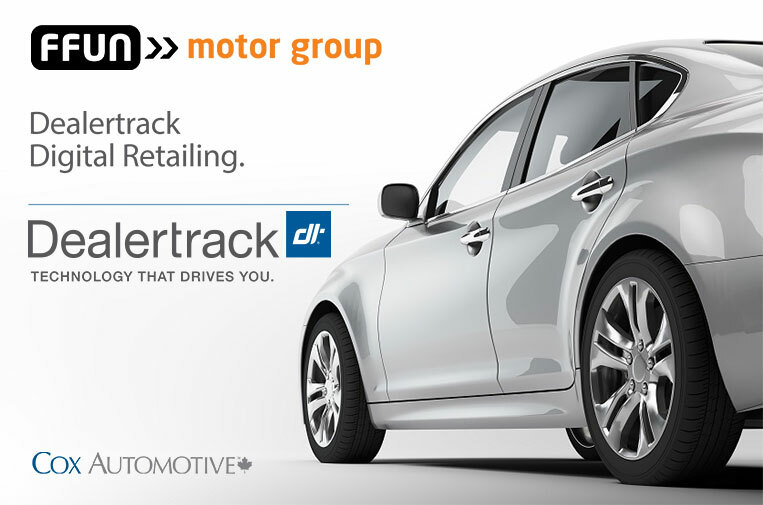 For more information about Dealertrack Canada, visit dealertrack.ca.